We offer opportunities for research in an enthusiastic and friendly environment, over an enormous range of subject areas. Our history in teaching and research is distinguished and our graduates are influential in many spheres of activity worldwide. While the environment we operate within is contemporary, we remain conscious of the important traditions created by the many celebrated mathematicians who have worked here. 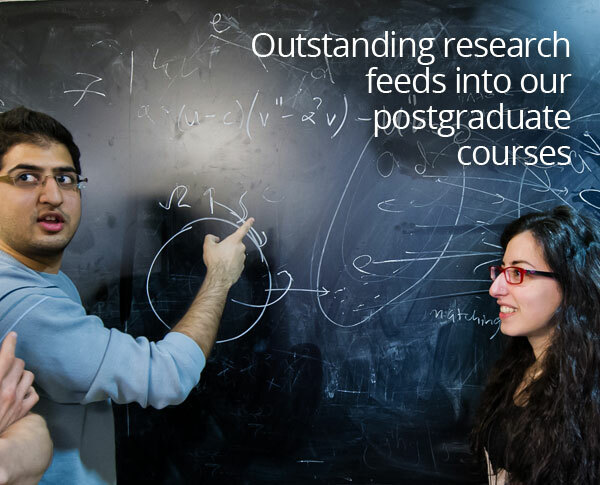 The research reputation and our tradition of excellence filters into the postgraduate programmes we offer.